A great taste experience for every customer, remains key to Heather. "I have a growing team who all work to make and pot our products daily, in small batches and by hand." 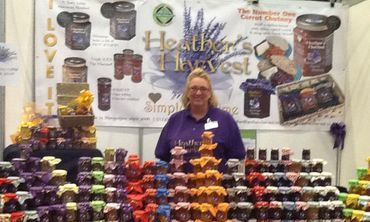 Heather is proud that Heather's Harvest products are still made using the original recipes that made the brand Simply Sublime! where she will encourage you to have a taste and shout out I Love It!